It was a place no animal should have to endure. 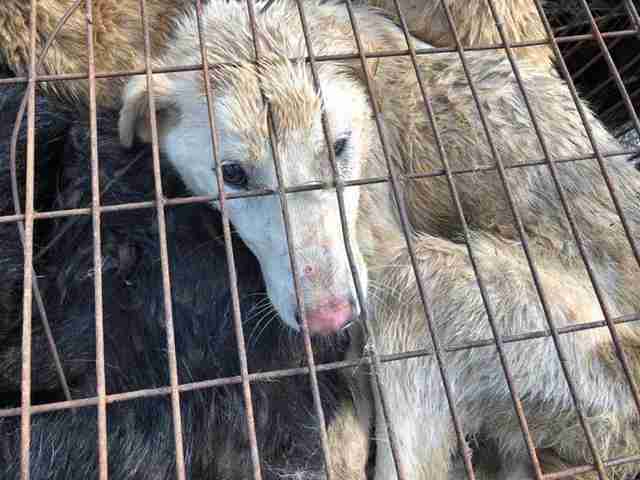 Forced tightly into tiny wire cages, the dogs had no way to escape or even move. They had no food or water, and were covered in wounds from being handled so violently. They were terrified and gasping for air. This was how 202 dogs were being transported to a meat market in South China earlier this month — and once they arrived, they would be sold off and slaughtered for food. But in an amazing twist of fate, help arrived. Activists stopped the truck as it passed through Hunan, China, and contacted local authorities for help. 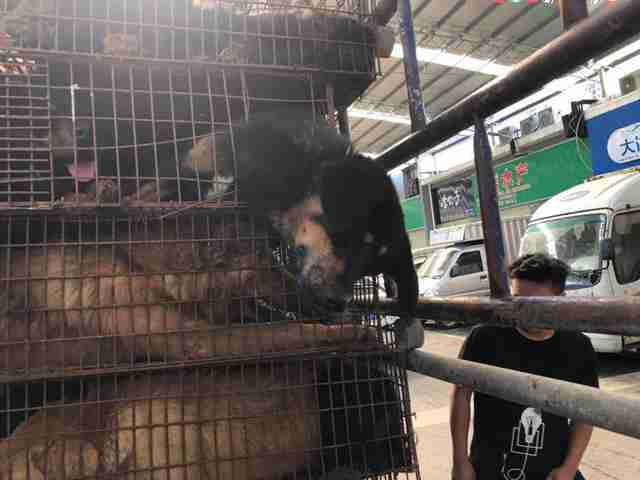 It wasn’t long before the police removed the animals from the truck and handed them over to the rescuers, presumably because the driver couldn’t prove he owned the dogs. The dogs were exhausted, abused and broken — but they were free. 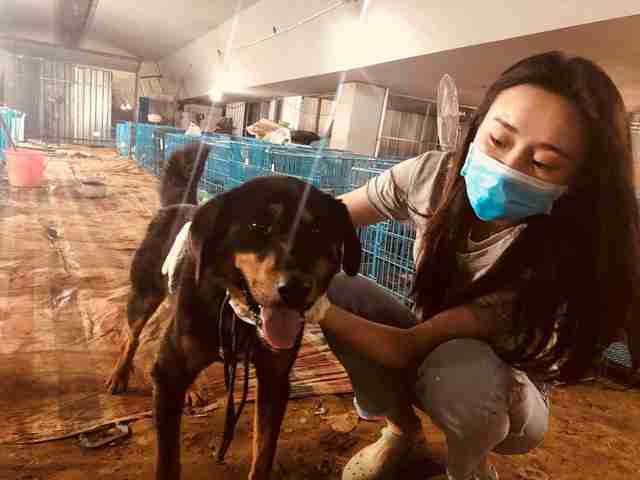 Rescuers moved the dogs to multiple local animal hospitals and rescue facilities, including a shelter operated by Humane Society International (HSI), to begin their second chance at life. 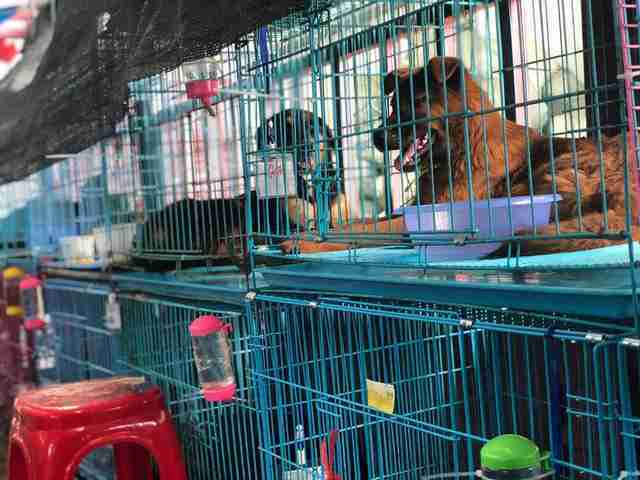 Due to being forcefully crammed into the tiny cages, many of the dogs were suffering from wounds and broken bones. Some were riddled with flies and maggots — and others were diagnosed with distemper, a highly contagious virus that can cause widespread infection within groups of dogs. Unfortunately, 13 of the over 200 dogs passed away shortly after rescue. Despite everything they’d been through, the dogs were so loving and sweet toward people. That’s because, in China, most dogs forced into the meat trade are actually stolen pets. 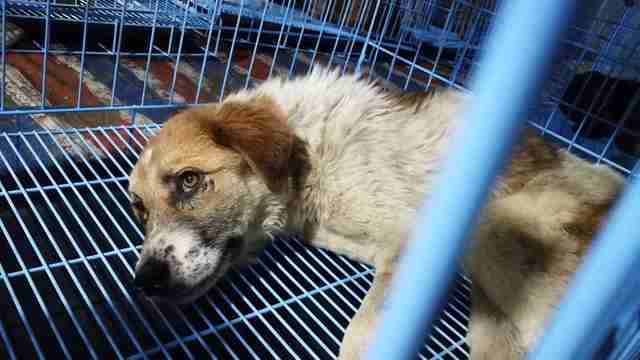 Once the thieves round up enough dogs, they shut them in small cages and make the long and grueling trek to the dog meat market. Many dogs are still wearing the collars given to them by their families when they arrive there. 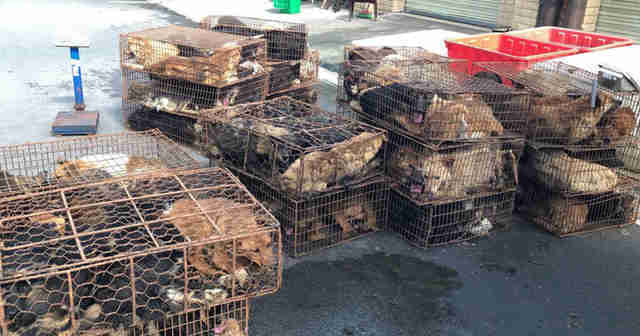 HSI estimates that around 10 million dogs and 4 million cats are killed for food each year in China. While only 20 percent of the country’s population consumes dog meat, it’s enough demand to keep this cruel industry in business. Luckily, these dogs are in the best place possible to start their new lives after the horrible trauma they’ve experienced. They know they’re safe now and are already forming close bonds with their caretakers. Once they recover, the dogs will be going to adoption events with HSI partners to find their forever families. To help support the dogs’ continued care, you can make a donation to Humane Society International.